NARS released their new The Wanted Eyeshadow Palette today, 11.27! This new palette is available early at Sephora for $59! The palette includes 12 shades that range from mattes to satins to some glittery metallic finishes. It’s LIMITED EDITION and a Sephora exclusive so if you want it, GET IT! It retails for $59 but is, allegedly, a $199 value, somehow making a nearly $60 palette seem like a steal. This palette features a BRAND NEW, high-impact, pure-pigment formula that is sure to WOW you! In addition to the gorgeous shades, we are also getting a super long-wearing and blendable formula that is sweat-resistant (what?!) and super rich in pigment. 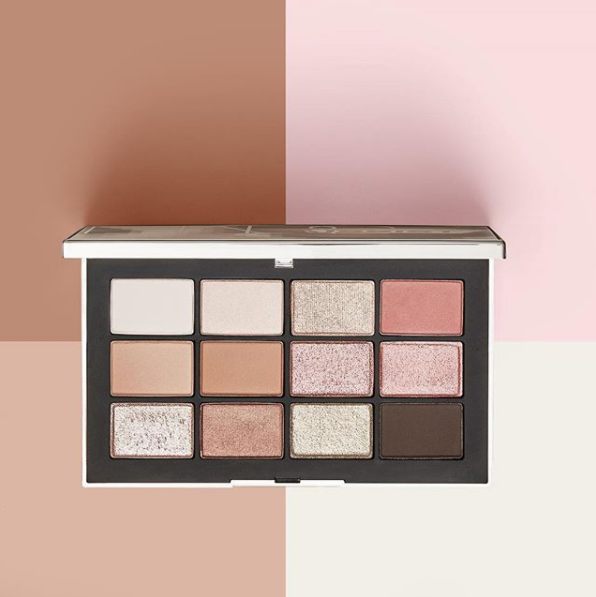 The color scheme is truly stunning – we are getting a variety of perfect crease shades, soft pale pinks, subtle nudes & shimmery rosey gold tones. I can SO see some of the light shimmer shades functioning also as gorgeous highlight shades! It’s simple, but so versatile and wearable. It is truly the most wanted NARS palette yet!